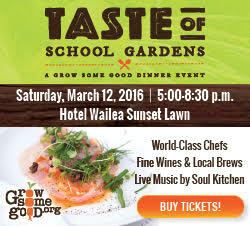 The Taste of School Gardens event will take place on the Sunset Lawn at Hotel Wailea on Saturday, March 4, with special dishes inspired by all the good things growing in our schools. 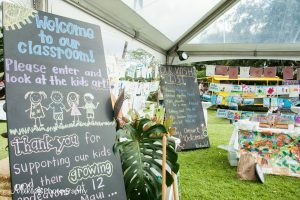 The festivities, in support of local nonprofit Grow Some Good, feature Maui’s premiere chefs coming together to support school gardens and inspire our future farmers, chefs, teachers, and scientists. New chefs participating this year include Chef Peleg Miron of Spago; Chef Zach Sato of The Restaurant at Hotel Wailea; Chefs Jaron Blosser, Cody Christopher and Travis Morrin of Three’s Bar & Grill and Fork & Salad; Owner Nicol Bradley of Ono Gelato Creamery and Shack Café; and Chef John Cadman, maker of Pono Pies. 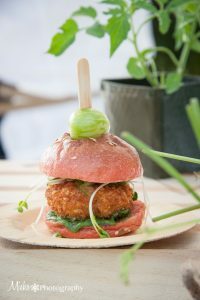 Longtime supporters from some of Maui’s finest establishments are joining the 5th annual event again, like Chef Craig Dryhurst of DUO at Four Seasons Resort Maui, Chef Roger Stettler of Cow Pig Bun and Chef Kevin Laut of Outrigger Pizza Company. 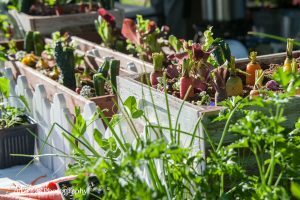 Fresh produce, grown by local students. Courtesy of Mieko Photography. 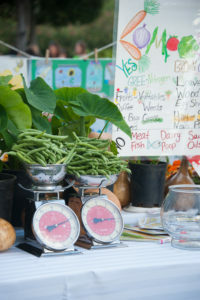 Grow Some Good’s Taste of School Gardens event. Courtesy of Mieko Photography. Taste of School Gardens event culinary creation. Courtesy of Mieko Photography. 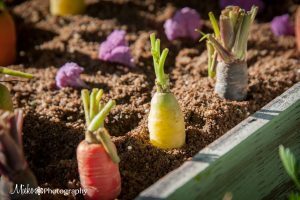 Student-grown carrots, via Grow Some Good. Courtesy of Mieko Photography. Food from Grow Some Good’s Taste of School Gardens event. Courtesy of Mieko Photography. Student-grown produce. Courtesy of Mieko Photography. 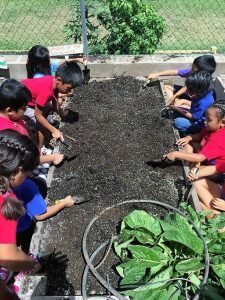 Kahului Elementary School students plant their garden beds. Photo courtesy of Grow Some Good. 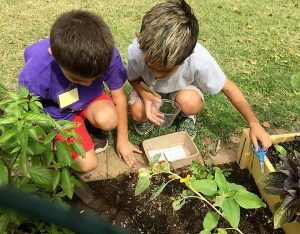 Students inspect for weeds in their school garden. 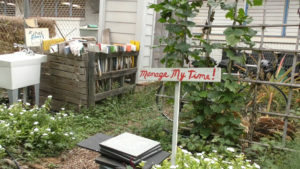 Photo courtesy of Grow Some Good. 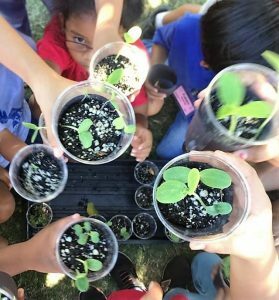 Students at Kahului Elementary with their plant starts. Photo courtesy of Grow Some Good. Students look for insects in the garden they helped create. Photo courtesy of Grow Some Good. 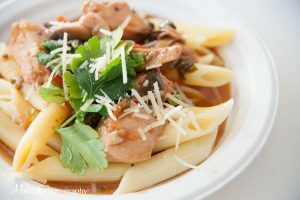 Guests will enjoy dishes made from local and school garden-grown ingredients, fine wine and local brews, live music from Maui vocalist Shea Derrick and ocean sunset views. There will also be a live auction, featuring fun, unique dinner events among the items up for bid. The event runs from 5 to 8:30 p.m. on March 4 at Hotel Wailea, located at 555 Kaukahi Street. Advance tickets are $110 for returning guests (or $1,350 for returning VIP tables of 10), $125 for new guests. After February 4, tickets cost $150 (or $1,500 for a VIP table of 10). 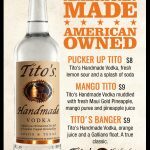 RSVP by February 25 to ensure table reservations. 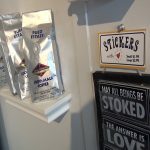 Visit Grow Some Good’s website to purchase tickets and learn more. 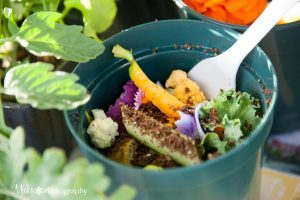 Grow Some Good is a nonprofit organization dedicated to creating hands-on, outdoor learning experiences that cultivate curiosity about natural life cycles, connect students to their food sources, and inspire better nutrition choices. 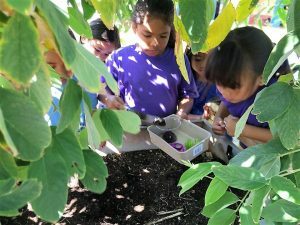 The organization currently serves approximately 3,000 students per year in 12 Maui schools. 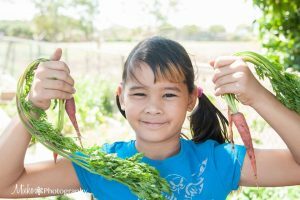 In addition to helping establish food gardens and living science labs in local schools, the nonprofit provides resources and curriculum support through community partnerships in agriculture, science, food education and nutrition. For more information about how to get involved or volunteer, email Grow Some Good.